Exploring the intense relationship between Romantic literature and Methodism, Helen Boyles argues that writers from both movements display an ambivalent attitude towards the expression of deep emotional and spiritual experience. Boyles takes up the disparaging characterization of William Wordsworth and other Romantic poets as 'Methodistical,' showing how this criticism was rooted in a suspicion of the 'enthusiasm' with which the Methodist movement was negatively identified. 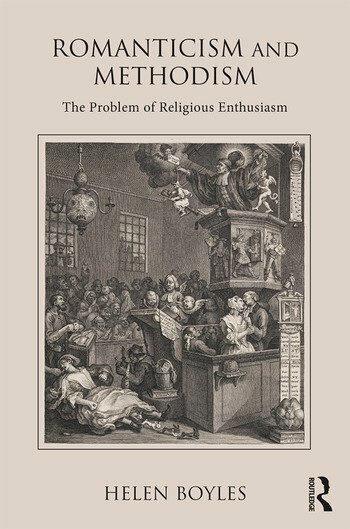 Historically, enthusiasm has generated hostility and embarrassment, a legacy that Boyles suggests provoked concerted efforts by Romantic poets such as Wordsworth and the Methodist leaders John and Charles Wesley to cleanse it of its derogatory associations. While they distanced themselves from enthusiasm's dangerous and hysterical manifestations, writers and religious leaders also identified with the precepts and inspiration of a language and religion of the heart. Boyles's analysis encompasses a range of literary genres from the Methodist sermon and hymn, to literary biography, critical review, lyric and epic poem. Balancing analysis of creative content with a consideration of its critical reception, she offers readers a detailed analysis of Wordsworth's relationship to popular evangelism within a analytical framework that incorporates Samuel Taylor Coleridge, Robert Southey, and William Hazlitt. Helen Boyles is Associate Lecturer in the Faculties of Arts and Humanities and Honorary Research Associate in the English Department at the Open University, UK.